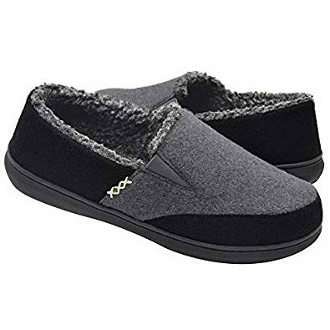 If you are looking for an inexpensive, warm, quite comfy and good looking slipper to buy, then HomyWolf Unisex Cotton House Slippers is a good option to check out and it gathers lots of positive user reviews. 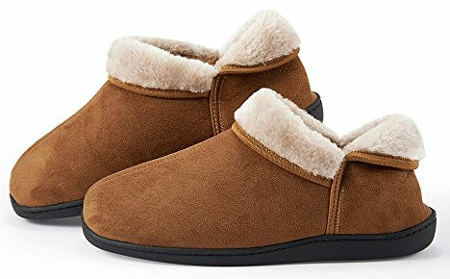 This house slipper features a cotton upper that offers moisture control and breathability while the lining is faux fur which feels soft and keeps your feet warm even during those colder months of the year. 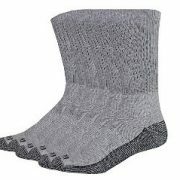 The bottom is made of rubber and is thick and non-slip, which makes this footwear suitable for using on tile or hard wood tiles and good for short trips out as well. 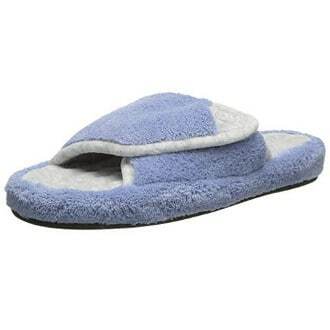 The edge of this slipper is seam crafted, which prevents cracking and makes it solid. 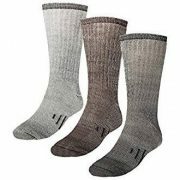 It is also ankle-high, a feature that provides for more warmth, coziness and style. The fur can be turned up. Finally, you can choose between two pretty looking colours, light brown and dark brown. 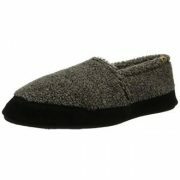 According to many users, HomyWolf house slippers feel very comfy and are soft and warm. 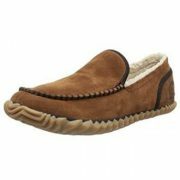 They are also lightweight and the outsole is sturdy and good for tile floors or being out for short periods of time. 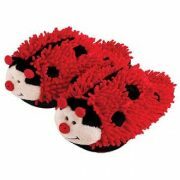 One of the biggest advantages of this slipper is its inexpensive price. 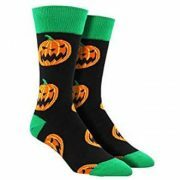 It is also easy to put on and take off, and feels cozy. 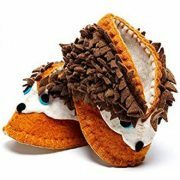 Some users even call it the best slipper they have ever had. 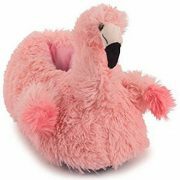 While some users mention that the fit is perfect, there are some others that find the size they have ordered large and a few others that find this slipper snug. Nevertheless, there are more people that find the size they have ordered large than snug. 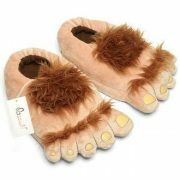 In conclusion, you have to be a bit careful when ordering to find the right size for you. 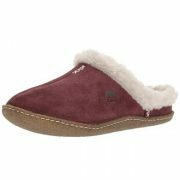 Another pro is that the style of this shoe is unisex so that both women and men can enjoy its benefits. 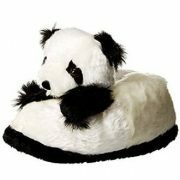 According to some users, this is not the best quality and most durable slipper one can buy. 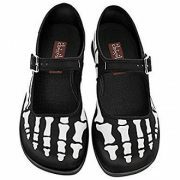 It also has a little amount of padding or support so it is not the best choice for people who suffer from foot pain or other foot problems. 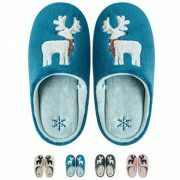 HomyWolf Unisex House Slippers are nice and warm. 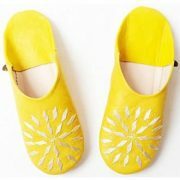 They have a decent construction and the bottom is good for indoor and some amount of outdoor use as well. 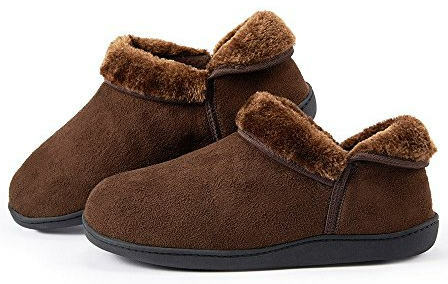 This may not be the most durable slipper you can find but it provides you with some useful features such as warmth, breathability and comfort up to a point depending on your needs. 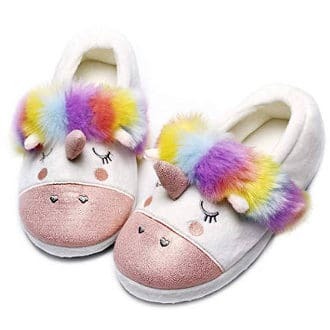 Most of all, this is a good price slipper but if you want a better quality and comfort slipper, you can find more options in our review of the best house slippers for men as well as the best house slippers for women.